Tamarind is soaked in water to extract all the thick pulp. It is then cooked in tempered oil. Puffed rice is softened by soaking it in fresh water for couple of seconds. Puffed rice is then mixed with the tamarind mixture for it to absorb all the flavors. Serve tamarind puffed rice immediately as a snack or as a breakfast. Makes: around 2 Servings of Tamarind Puffed Rice. Soak puffed rice in water for couple of seconds or around a minute. Soak tamarind in half a cup of hot water for few minutes. Squeeze and extract all the thick juice from the tamarind discarding any veins. Heat oil in a pan on medium heat, add peanuts and fry for couple of seconds. Then stir in all the talimpu ingredients in order. When chana dal turns light brown and peanuts are roasted, add green chiles, tamarind extract, turmeric powder and salt. Cook on low flame for around 2 – 4 minutes and remove from heat. Cool the mixture down to room temperature and carefully fold in the puffed rice. When puffed rice is coated with all the tamarind mixture, adjust any seasonings if required. Serve tamarind puffed rice immediately. Notes: Make sure puffed rice is soaked well. I always serve black eyed peas in some form to ring in New Year. It's an American - especially southern - tradition to eat black eyed peas for good luck. This time, I have made these crunchy tandoori style black eyed peas. They can be served as a quick snack with drinks. 3. Transfer in a baking pan in a single layer. 5. Stir every 10 minutes. 6. Let it cool and store in air tight container. Make a paste with cinnamon powder, sugar and rolled oats with hot milk, spread this cinnamon-oats mixture generously over the pastry sheet and fold on both sides to bring both edges to the middle to form a log, arrange in freezer for 15minutes..Meanwhile preheat the oven to 400F, cut the slightly freezed log as small pieces and arrange over the baking sheet lined over a baking tray, bake for 12-15minutes until the crust turns golden brown.. I never says no to potato and spinach, both are our family favourites.. 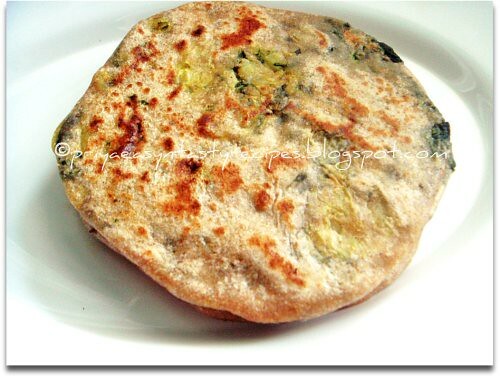 Most of our dinner goes for parathas and also its quite a best way to sneak veggies or greens either by adding directly to the dough or by stuffing,its has been a long i havent prepared aloo parathas and i tried out this aloo palak combo in this paratha for our sunday's dinner and served along with a simple mixed veggies kurma, eventhough these parathas doesnt need any special side dish..I used few ajwain seeds for tempering the aloo palak masala which turned out more flavourful, these parathas tastes awesome even for lunch and u can very well freeze them for future dinner or lunch, i slightly cooked my parathas and freezed them in ziplock bags, its really handy and quick whenever u feel lazy to cook..
Makes: around a Cup of Cilantro Tomato Chuntey. Wash, chop off hard stems and roughly chop cilantro leaves. When chana dal changes color, remove a tsp of the tempering onto bowl. Then add chopped green chiles and cilantro. Fry till cilantro wilt, add chopped tomato and salt. Cook till tomato softens and remove from heat. Cool the ingredients to room temperature and grind it into smooth paste. Remove the ground cilantro chutney onto a bowl. Notes: Make sure to cook the cilantro well. Merry Christmas & New Year to You all friends..We had a great christmas & New Year party here and we went to bed when its almost 5am, just danced and went to chruch of midnite mess..Had a great time, after a beautiful christmas brunch i wanted to make some cake and went for making this chocolate mocha cake as a low fat version just by using buttermilk and oil instead of butter and with a freshly brewed coffee..i love the coffee flavour in anything especially in ice creams, so needless to say that this mocha cake was one of my fav, i wanted to make some mocha icing but coz of laziness i skipped that part and just used some icing sugar and tiny cute choco balls for decorations, as its was quite simple and beautiful at the same time..
Preheat the oven to 350F..Beat the eggs and sugar together until they turns pale...meanwhile mix the all purpose flour, sugar,baking powder and keep aside..Add the buttermilk, oil to the egg-sugar mixture, beat well..Add the chocolate chunks to the freshly brewed hot coffee, mix until the chocolate get well mixed..gradually add the chocolate-coffee mixture again to the egg-sugar mixture,whisk everything..Finally add the dry ingredients to the wet ingredients, mix gently with a spatula well..Pour this cake batter to a greased round cake mould,bake for 25-30minutes in middle rack until a skewer inserts comes out clean.. 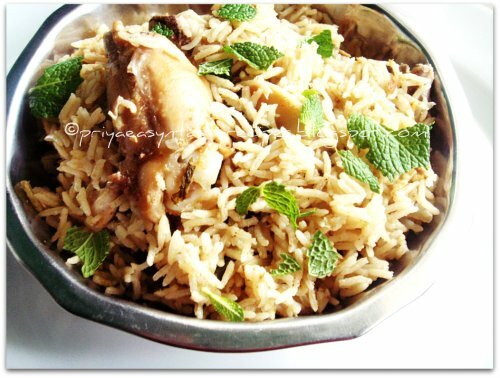 While going through my non vegetarian recipe index i came to know that i havent posted my recipe for egg briyani which i prepare quite often whenever i dont have meats or veggies, here is my favourite and delicious egg briyani from the kitchen, my egg briyani goes for hard boiled eggs and some scrambled eggs, usually many of us make egg briyani just with whole hard boiled eggs while i go for both boiled eggs and scrambled eggs, everyone at home love my version egg briyani..Just serve this hot egg briyani along with some onion raita, u guys will definitely fallen in love completely with this combo which tastes absolutely divine..
Heat the oil and ghee together, fry the bayleaves, cloves,cinnamon stick and cardamom until they turns brown, add immediately the sliced onions,chopped tomatoes, slit opened green chillies,ginger garlic paste and sauté with salt until the veggies get cooked and raw smell goes away..meanwhile wash the rice and soak the rice with coconut milk and 2cups of water,keep aside for 15minutes..
Add the boiled eggs (make few slashes gently),red chilly powder, turmeric powder,garam masala,cumin powder to the cooking veggies, cook for few minutes..Drain the soaked rice and add the coconut milk-water,mint leaves to the cooking veggies-egg mixture,bring everything to boil..Finally add the soaked rice,cook in high flame for few minutes, put off the flame in simmer..Cook until the rice gets well cooked..
Heat few drops of oil,sauté the chopped onions, whisk the eggs, add the whisked eggs to the cooking onions and make scrambled eggs..Gradually add this scrambled eggs to the cooked egg briyani,toss gently and put off the stove..Serve hot with onion raita.. According to ayurveda, replacing tamarind with lemon in everyday cooking reaps health benefits and this dal is based on that school of thought. Tamarind happens to be a basic ingredient in preparation of any traditional Andhra style dal and lemon replaces tamarind in this simple and healthy dal recipe. 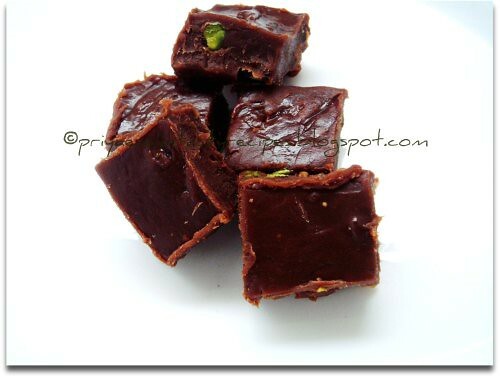 A pleasant variation to try when you want something new or when one runs out of tamarind. The recipe for this home style, delicious dal comes from my cousin's wife. * Wash the toordal and cook it adding turmeric powder and about 1.5 cups of water in a pressure cooker. Alternatively, the dal can be cooked on stovetop till done. * Heat oil in a kadai or thick-bottomed cooking vessel and add the tadka ingredients. When they start to pop and splutter add the green chillies and tomatoes. Stir them once, cover the pan and cook on low flame. Keep stirring once or twice in between till the tomatoes turn mushy. * Add the cooked dal and salt to the kadai. Mix well and let it simmer for a couple of minutes more so that the flavors mingle. Turn off the stove. * Add the lemon/lime juice as needed and stir well once more. 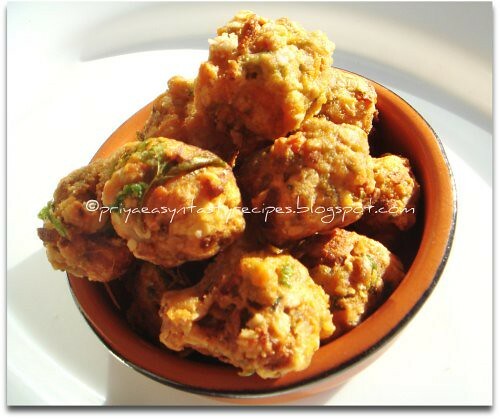 * Garnish with cilantro and serve with hot steamed rice /rotis. This goes to Susan's MLLA - 30th edition hosted by Priya Mitharwal. Butta Pacchi Mirapakaya Majjiga Pulusu. Bell pepper is diced and cooked in oil along with spices and curry leaves. A yogurt mixture is prepared by whisking yogurt with besan / gram flour. The yogurt mixture is then added to the bell pepper and cooked on low flame till flavors develop. 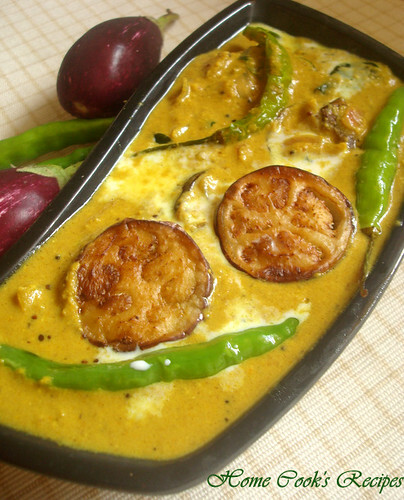 Serve capsicum kadhi with steamed rice. 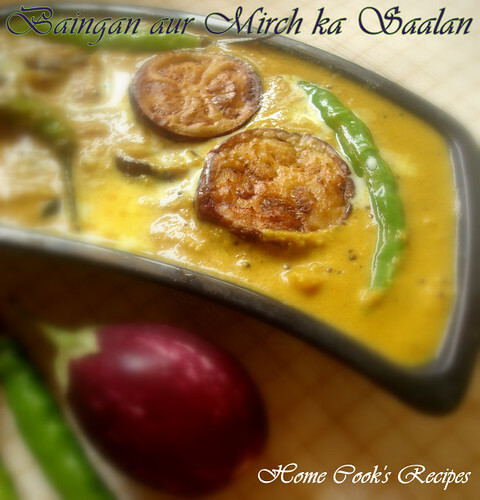 Makes: around 4 Servings of Capsicum Kadhi. Wash, remove stem, discard seeds and chop bell pepper into small pieces. Whisk together yogurt, besan, turmeric powder and salt into smooth paste adding quarter cup of water. Heat oil in a pan on medium high heat, add all talimpu ingredients in order. When mustard seeds start spluttering, add chopped bell pepper. Fry till bell pepper starts to brown around the edges. Stir in chopped onion and apinch of salt. Fry again till onion is almost translucent and bell pepper is brown on the skin. Lower the heat, stir in whisked yogurt mixture. Cook on low flame till the mixture thickens and starts to come to a bubble. Adjust with water to get the required consistency, cook till raw smell of the yogurt mixture is gone. Serve capsicum kadhi with steamed rice and dollop of ghee. Notes: Make sure to cook the bell pepper well before adding the yogurt mixture. Puffed rice is toasted if its not crisp enough. 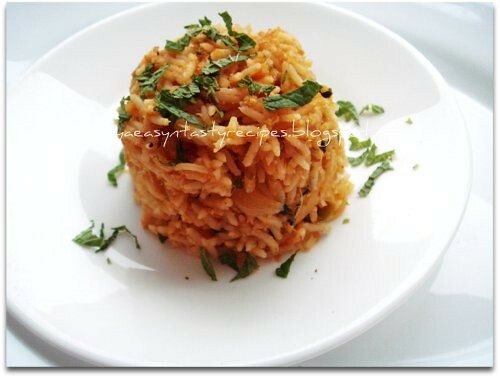 Puffed rice is then mixed with finely chopped onion and tomato along with other spices powder and herbs. Puffed rice mixture is then served immediately as a breakfast or as a snack. Makes: around 2 Servings of Easy Puffed Rice Mixture. Wash and finely chop the tomato and cilantro leaves. Grind dalia into fine powder using a spice blender. In a mixing bowl, add puffed rice, onion, tomato, green chile, red chile powder, roasted peanuts, dalia powder, lemon juice, cilantro, salt and sesame oil. Mix everything thoroughly and divide into two bowls. 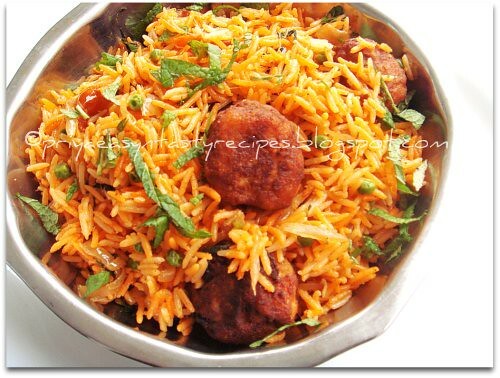 Serve easy puffed rice mixture immediately. Notes: Adjust any seasonings according to taste. 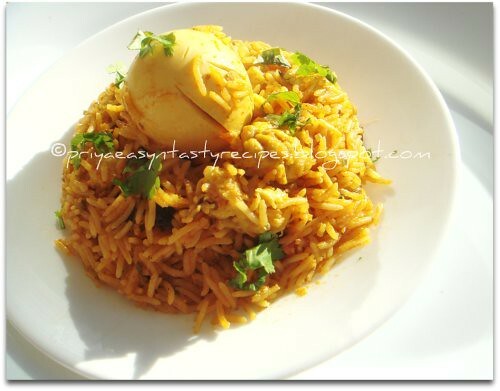 This is a quick and tasty yogurt poha. Yogurt is whisked with garlic and green chiles. Poha / flattened rice is then soaked in yogurt till it absorbs all the flavors. Finally yogurt poha is garnished with cilantro and served immediately. Makes: around 2 Servings of Easy Yogurt Poha. Peel and lightly crush the garlic clove. Wash poha with fresh water and strain the poha. In a mixing bowl, whisk together yogurt, garlic clove, green chiles, lemon juice, few tbsps of water and salt. Stir in poha and leave aside for 10 -15 minutes. Add more yogurt or water if poha soaks up all the yogurt. Stir in cilantro and serve easy yogurt poha. Notes: Make sure poha is soaked well. Brioche is a French bread with eggs and butter which tends to give a rich and tender crumb..I tried out brioche sterday with orange juice,nuts and with a mix of dry fruits..This brioche tasted extremely yummy with those dry fruits and some chopped nuts, this brioche looks really very festive when i sprinkled some sugar pearls over them..Brioche origin in France and these brioche is considered as a viennoiserie. 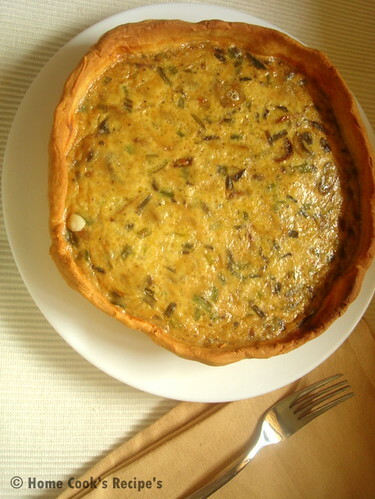 It is made as the same basic way as bread, but has the richer aspect of a pastry because of the extra addition of eggs, butter, milk and sugar. 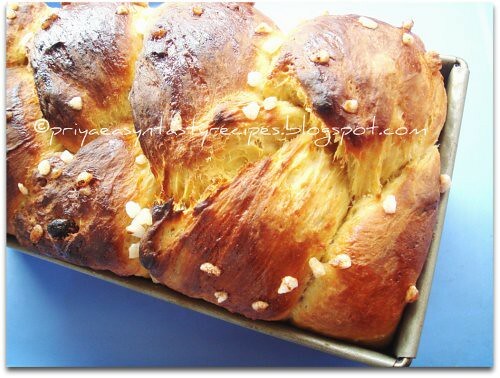 Brioche, along with pain au lait and pain aux raisins which are commonly eaten at breakfast or as a snack. Brioche is often cooked with fruit or chocolate chips and served as a pastry or as the basis of a dessert with many local variations in ingredients, fillings or toppings..This brioche goes directly to BBD#35-Breads With Dry Fruits guest hosted by Umm Mymoonah, event by Zorro and to AWED guest hosted by me, event by DK..
A true breakfast for us at least from M's perspective would be errakaram dosas, idlies or ponganalu. And this masala dosa tops that list. That is no wonder taking into account his rayalaseema background. Or for that matter, who wouldn't appreciate and relish the crispy dosas perfectly done to golden brown, lathered with the delicious errakaram, pappula podi with the spicy filling of potato masala. This mouthwatering union is irresistible for any palette accustomed to Indian food. This erra karam style dosa is a spicy and tasty variation of 'masala dosa' - And is the ultimate dosa, I think. Wash and soak the ingredients in water for at least 4 hours. Then using a grinder or mixer grind them into a fine, smooth batter adding water as only needed. Add salt and then leave it to ferment overnight in a warm place (like a lighted oven during winters.) Fermented batter would be ready by the morning. 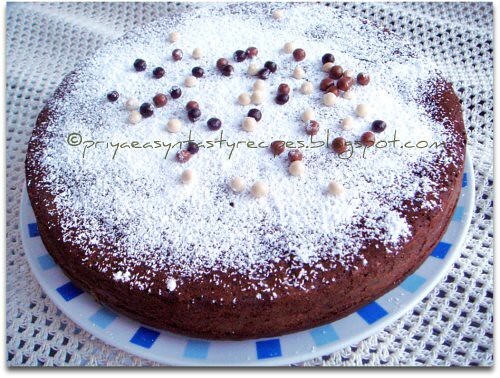 The fermented batter can be refrigerated for 4 -5 days. Grind onions and chilies / chili powder into a fine paste. Add a little water only if needed. Heat oil in a pan and add the mustard seeds. When they start to splutter, add the ground onion mixture and fry till the raw smell disappears. Add salt and mix well. Doing the tadka is optional and I prefer it. If not using immediately, cool and refrigerate it. Grind together 1/4 cup dalia / pappulu, 2 Tbsp grated copra / dried coconut, 4 red chilies and salt in a spice grinder to a fine powder. Don't add water to grind. Heat a penam / griddle on medium flame. When you sprinkle a few drops of water on the griddle, the water should sizzle and evaporate. This means the griddle is ready. Pour a ladle full of batter in the center of the griddle and spread it into a thin circle with the help of the backside of the ladle. Spread ½ tsp of ghee or oil around the edges of the circle / dosa. Let the bottom side of the dosa facing the heat cook. Flip the dosa and again spread some oil around dosa and let it cook for about 30 seconds or so. Now again flip it, take a spoon of erra karam and spread on the dosa uniformly, sprinkle some daliya powder and place about 2 Tbsp of potato curry on it. Fold the dosa and let it cook on both sides for a few seconds. Remove the dosa with a spatula. Repeat the process with the remaining batter. 1. These dosas need prior preparation since the batter needs to be fermented. 2. Pappula podi can be prepared in advance and stored in an air tight container. If in a hurry, erra karam and curry can be prepared the previous day and refrigerated. I rarely make dishes with mutton and this weekend i prepared this spicy delicious mutton pepper roast by preparing freshly grounded pepper powder, this mutton roast tastes extremely delicious and fabulous with hot rice and rasam , we enjoyed having this hot spicy mutton roast for our sunday's lunch, this mutton pepper roast tastes also fabulous along with rotis,if dont like mutton u can prepare this similar pepper roast even with chicken, which goes tremendously along with rice..Eating this hot spicy mutton pepper roast with rice and hot piping rasam while its snowing tastes extremely delicious..
An easy,healthy at the same time a nutritious one pot meal to enjoy with some spicy potato fry..This pulao goes for an easy cooking process and this pulao tastes truly amazing and delicious..I cooked the rice and whole masoor dal together in pressure cooker and prepared a simple masala which i finally tossed gently with this cooked and dal rice, if u dont have masoor dal u can go very well with channa dal or toor dal...Since i dont wanted to make out as vegetable pulao i completely skipped the addition of veggies and prepared simply as a delicious quick pulao with dals and rice..This pulao goes prefectly a lunch box menu or for a pot luck party, a prefect feast for vegetarians..
Chama Dumpalu Veru Sengala Kura. Arbi / taro root is soaked in water and pressure cooked till soft. It is then peeled and chopped into chunks. The chunks are then briefly fried along with boiled peanuts and other spices till done. Serve arbi with peanuts over plain steamed rice. 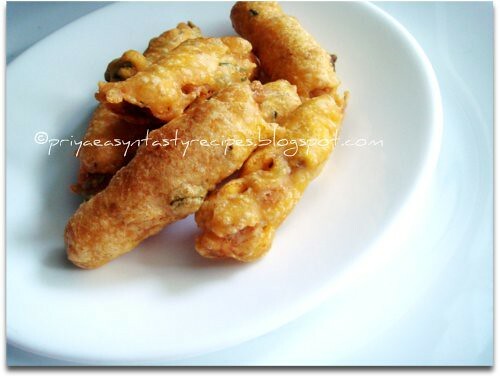 Makes: around 2 Servings of Arbi with Peanuts. Toast the besan on low flame till aromatic and keep aside. Wash the arbi and pressure cook in enough water for 3 whistles. Pressure cook the peanuts with enough water at the same time. Peel and chop arbi into small chunks. Heat oil in a pan, add arbi and fry till they crisp up a bit. Stir in cooked peanuts, red chile powder, besan powder, garam masala, yogurt and salt. Stir in combine and cook till most of the moisture is gone. Remove from heat and serve arbi with peanuts over plain steamed rice. Notes: Make sure arbi is cooked properly before adding the spice powders. Sweet potato is boiled in water till soft and peeled. Sweet potato is then diced and folded into whisked yogurt with spring onion and aromatic fennel seeds. Serve sweet potato raita with any fried rice with a sweet note to it. Makes: around 2 Servings of Sweet Potato Raita. Whisk yogurt with salt in a bowl and keep aside. Wash, remove ends and finely chop the spring onion. Bring to boil a cup of water, add halved sweet potato and boil till sweet potato is soft but not mushy. Strain the sweet potato, peel and chop the sweet potato into small chunks. Fold the chopped sweet potato and spring onion into whisked yogurt. Heat oil in a pan on medium heat, add fennel seeds. Fry till fennel seeds change color or until aromatic. 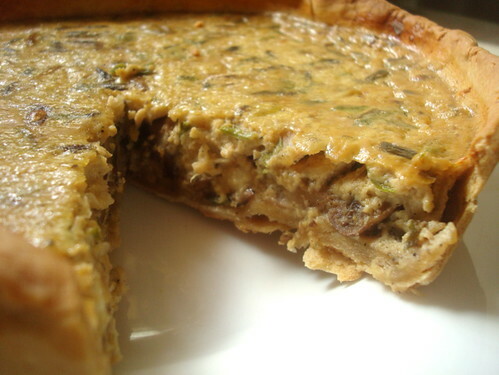 Remove from heat, cool a bit and mix the fennel seeds with the yogurt mixture. 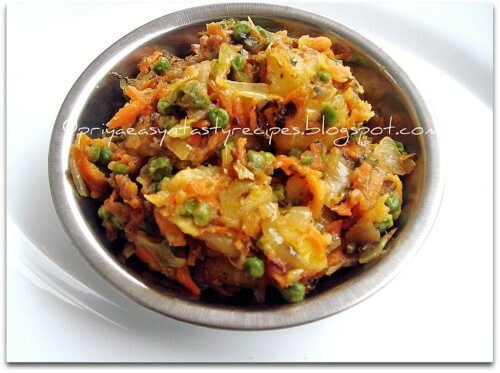 Serve sweet potato raita chilled with sweet fried rice. Notes: Make sure to cook the sweet potato well. Sieve the besan to avoid lumps. Add besan, salt, carom & cumin seeds to a mixing bowl. Add enough water to make the batter. About 1.5 cups of water will make thicker dosas and if you prefer the dosas to be thin, add a little more. 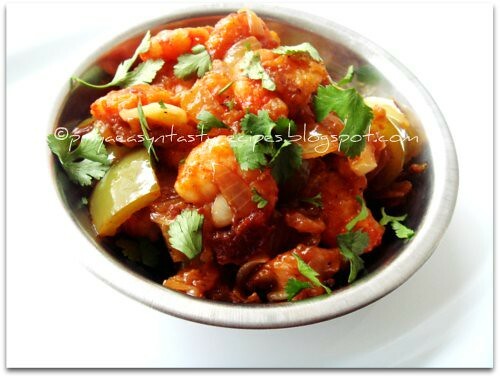 Stir in the chillies and veggies you prefer to add. If not preparing dosas immediately, batter can be refrigerated. Heat a griddle or a shallow non-stick pan. Sprinkle a little water on the pan and if it sizzles and evaporates, then the pan is ready for dosas. 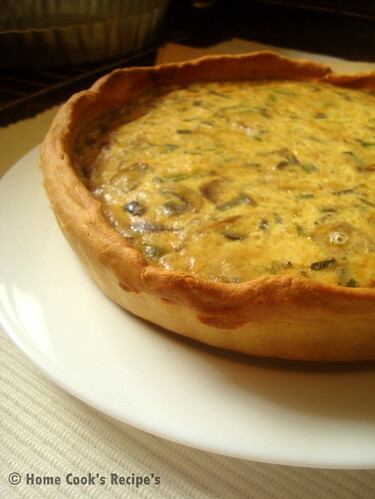 Pour about 1/4 cup or a ladleful of batter at the center of the pan and spread into a circle. Spread 1/2 tsp of oil around the edges and roast until it turns golden brown. Then flip it, spread the oil again and let it cook on the other side as well. Repeat the same with the remaining batter. Serve with chutney / any spicy pickle. I was craving for something for snacks with peanuts, since i was quite lazy nowadays i went for a easy preparation of masala peanuts through microwave oven, i just prepared this masala peanuts using gram flour, rice flour,chilli powder, fennel seeds & garlic along with few drops of oil..Very simple at the same time a fabulous crispy snacks to munch along with a cup of coffee that too during this chilled weather..Usually i prepare this masala peanuts by deepfrying and making this masala peanuts through microwave oven was completely quick and easy, we cant find much difference between the deep fried one and this microwave cooked masala peanuts..My teddies loved it..Am sending this crispy masala peanuts to MEC-Savoury Snacks hosted by Monika, event by Srivalli.. Sometimes, I get a strange feeling that my refrigerator creates the recipes for me! ;-) When I entered the kitchen to cook for the dinner, I had absolutely no idea about what to cook. I opened the fridge door reluctantly, what do I see? Half of cauliflower, tricolor bell peppers halves, a chunk of paneer from Costco, and ginger-garlic paste. I decided to use them all together. When I added all the veggies, I thought green color was missing. I didn't have green bell pepper but saw a bunch of coriander leaves. So I added those while cooking instead of using them as a garnish. Thus, Gobhi paneer recipe got created. I told you, my fridge did it!! 1. Heat oil in a wok or kadai. 2. Add cumin seeds ad turmeric powder. 3. As the seeds splutter, add ginger garlic paste. Saute for 2-3 minutes. 4. Add all the veggies, cilantro, paprika and garam masala. Keep on frying till veggies are semi-cooked. Now, add paneer pieces. Let it cook together. 6. 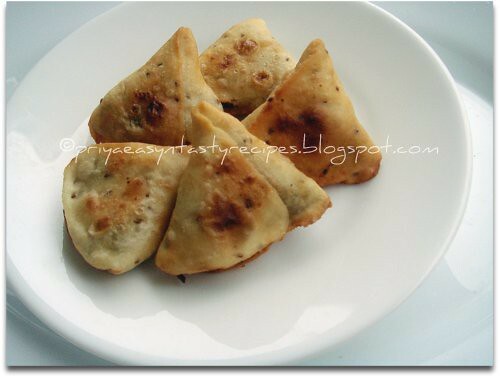 Serve with chapati or paratha. 1. For richer taste, you can fry paneer pieces before adding to the kadai. I didn't bother to fry paneer. 2. I used nonstick kadai so it won't stick to the bottom of the pan. Ridge gourd is chopped up and boiled along with green chiles, fenugreek seeds and tamarind. It is then ground into paste along with cooked toor dal and fresh coconut. 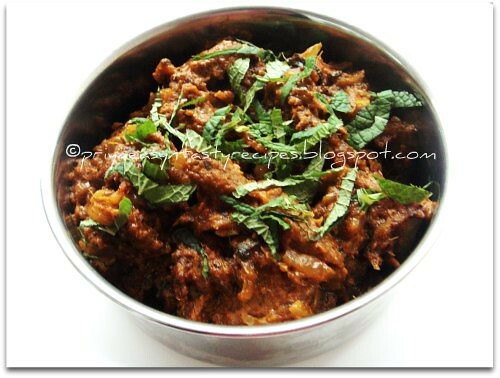 Finally the ridge gourd mixture is tempered with spices and served with steamed rice or with chapati. Makes: around 2 Servings of Tangy Ridge Gourd Curry. Peel, remove ends and wash the ridge gourd. Chop the ridge gourd into chunks and keep aside. Heat a quarter cup of water in a sauce pot, add chopped ridge gourd, green chiles, tamarind, fenugreek seeds and salt. Boil till ridge gourd becomes soft. Remove from heat and grind the above mixture along with coconut, jaggery, cooked toor dal, and salt. Remove the ground mixture onto a bowl. When mustard seeds start spluttering, remove from heat and add to above ridge gourd curry bowl. 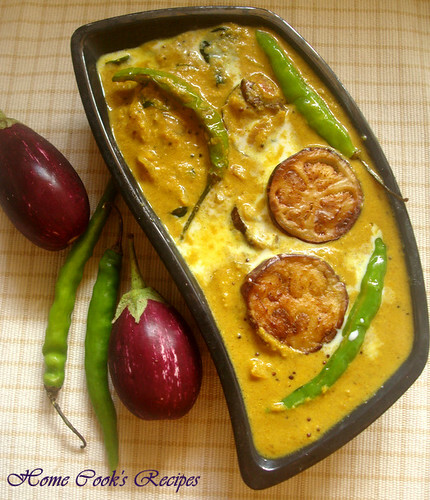 Serve tangy ridge gourd curry with steamed rice or with roti. During my college days, I was an avid reader of Siddharth Kak's gastronomical articles in Times of India. In his article "The utterly Butter Chicken Debate", Mr Kak explains that he had tasted the best butter chicken at Kwality restaurant in Delhi. He reminces about the butter chicken of Moti Mahal, Daryaganj, Old Delhi where butter chicken had a perfect burnished golden red color, treading the line between sweet and sour with creamy consistency. However, he felt that he couldn't get the same taste in other restaurants. In his quest to taste the perfect butter chicken of his youth, Mr. Kak went to the Gulzar restaurant at the President Hotel, Cuffe Parade. 2. Add fresh tomato paste, Kashmiri chili powder. Stir fry. 3. Add cashewnut paste till oil oozes out. 4. Add cream, butter, garam masala, kaoori methi. 5. This is the basic makhni gravy recipe. 1. I used Sanjeev Kapoor's Tikka Masala powder to make my chicken tikkas by grilling them in oven and then added them to the simmering gravy. 2. 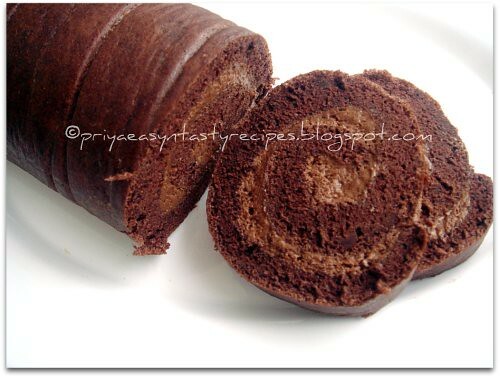 Mr. Kak also shares some readers' contribution/tips etc to make the perfect recipe. Here, besan, sugar and ghee is mixed into a batter before putting the mixture on heat. Once heat is applied, sugar melts and the syrup binds all the besan into thick gooey mixture. The mixture is then poured into greased tray and allowed it to harden. Quick mysore pak stays fresh for couple of weeks. Makes: around 6 Pieces of Quick Mysore Pak. Grease the insides of a small square dish with little ghee and keep aside. 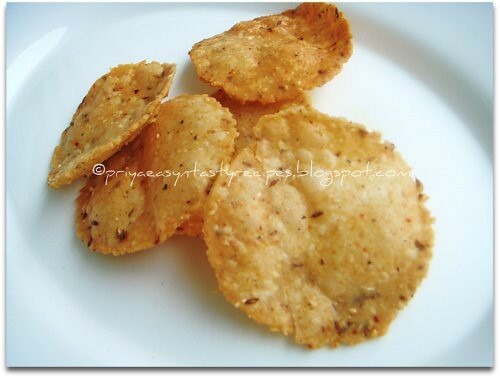 Heat a pan on medium heat, add besan and fry till the besan changes color or till its aromatic. Remove from heat and cool the besan to room temperature. 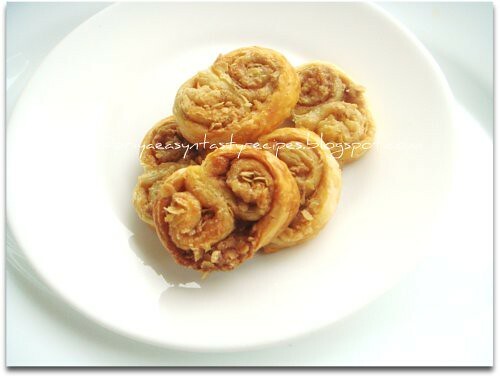 In a pan, mix together besan, powdered sugar, ghee and water into thick batter without any lumps. Add little bit more water only if necessary. Now place the pan on medium heat. Stir continuously until all the sugar melts and the mixture thickens and comes together. When the sugar syrup is very thick and gooey, immediately pour into the greased dish. Leave the dish aside for couple of hours for mysore pak to harden. When the mysore pak is hardened halfway, cut it into pieces. Store in a tight jar and serve quick mysore pak. Notes: Make sure not to burn besan while toasting. Chickpeas is added to the tempered oil and briefly fried. A freshly ground spice made with coriander seeds, dried red chiles, cinnamon and clove is added to the chickpeas mixture. Finally chickpeas is garnished with finely chopped onion and cilantro. 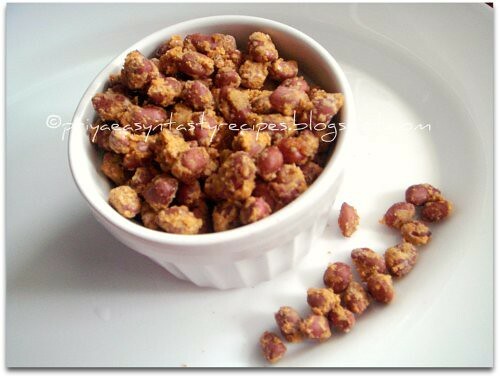 Serve masala chickpeas as a snack. Makes: around 2 Servings of Masala Chickpeas. Wash, separate cilantro leaves and finely chop them. If using raw chickpeas, soak chickpeas overnight and pressure cook for 3 whistles or until chickpeas is soft. Grind whole red chile, coriander seeds, cinnamon, clove and salt into fine powder. When mustard seeds start spluttering, add boiled chickpeas. Fry till most of the moisture is gone and chickpeas is toasted a bit. Stir in ground masala powder and salt if necessary. Fry for couple more seconds and remove the pan from heat. Stir in chopped onion, cilantro and lemon juice and serve masala chickpeas as a snack or as a accompaniment to steamed rice. Notes: Make sure not to over fry the masala powder. Heat enough oil,let crack the cumin seeds, add immediately the chopped onions, curry leaves, sauté until they turns transculent, add now the grounded soya chunks, red chilly powder, garam masala powder, salt and coriander powder, sauté everything for few minutes, finally add the smashed cooked potatoes, cook everything in simmer,put off the stove and let them get cool completely..
Make tiny balls from the dough, dust with few flour and roll them as circles, cut in the middle of the circles, make two demi cricles, just fold the sides to make a cone, now gently put some already prepared potato and soyachunks masala inside the cone, press the sides tightly until they gets sticks..continue the process until the masala and dough get finished, u can get almost 35-40numbers of this mini samosas..Also u can stick the edges by using a simple flour and water paste.. Whenever i have some small quantity or leftover veggies, i usually mix them and make simple masala to enjoy with rotis or as side dish for rice dishes, this time i tried making the same masala with kasuri methi and ajwain seeds to change my usual way of making this masala, this recipe goes for easy preparation also healthy, quite simple but delicious at the same time, personally i felt making this sort of masala with kasuri methi tastes absolutely great at the same moment i can feed my small family with healthy stuffs in it..Adding kasuri methi and ajwain seeds turned out this masala more healthy and tasty, we enjoyed having this masala along with rotis for our saturday dinner,we loved it..U can also prepare this masala as sandwich with toasted bread slices y not as filling for stuffed rotis, u have so many choices to enjoy this masala...Sending this masala to CWS-Ajwain Seeds guest hosted by Kavitha, event by me and to DNSW-D guest hosted by Akila..
My health-conscious boss distributed a huge basket of fruits for holidays which makes me very happy. I mean getting those cloyingly sweet chocolates would have been disastrous. Though I am sneaking in those fruits in the lunch boxes, it's difficult to eat them all. and think about the time, when they all would ripen at the same time. My husband suggested to make Fruit n' Custard as they serve at Amrut Sagar, Bandra. I used my maushi's method and recipe. I didn't bother to peel and grate apples like she always does. I also didn't have chickoos. But any seasonal fruits that would go with milk would work. I also realized that peeling/slicing that whole pineapple is not my cup of tea!! 0. Rinse all the fruit thoroughly. 1. Follow the directions on the back of the custard powder. Make custard ready. 4. Add fruits to the custard which is now at room temperature. 9. While serving, first add fruit salad in a tall dessert bowl, then add ice cream - if using, and then garnish with cream cracker and cherries/chocolate chips. 1. Chop fruit as close to adding them to custard as possible so they won't turn black. 2. I used Wikfield custard powder which is available at Indian stores. Any custard powder may work. I generally use Indian brand since it doesn't contain any egg. 3. You can add jelly pieces to the above custard as well. If desired, add it directly into the serving bowl. 4. The custard recipe calls for 500 ml milk. My moushi starts with 1 lit milk. She evaporates it to 500 ml and then proceeds. 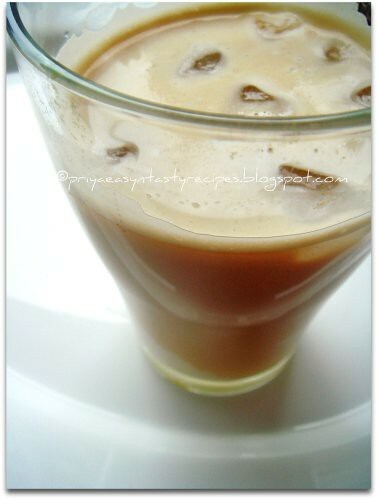 I used 500 ml milk. But the evaporated milk custard gives a divine taste. 5. I used fat-free milk. But whole milk surely gives a richer taste.